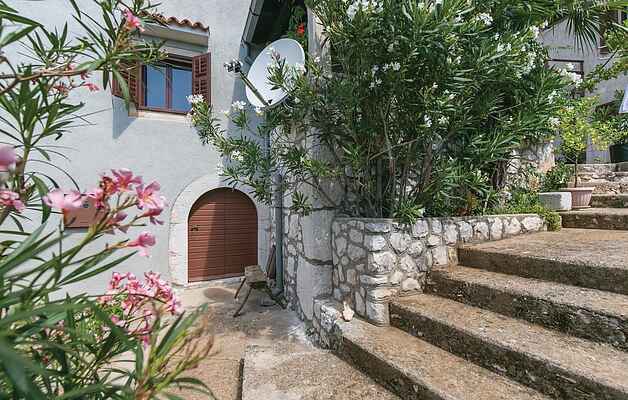 This historic Istrian house surrounded by oleanders, figs and olive trees is located in a small Istrian village. The house has been renovated and adapted to modern living, preserving traditional elements of Istrian architecture. Here you are only about 10 minutes drive away from the first beaches. It is only about a 5-minute drive from the ferry port so we recommend a day trip to the nearby Kvarner islands. Visit the nearby town of Labin and the famous town of Pula with its many cultural and historical attractions.